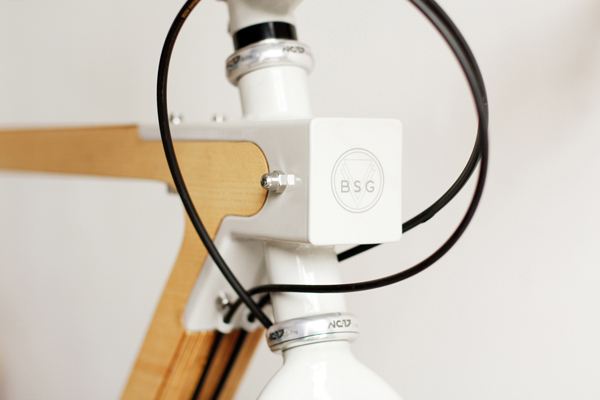 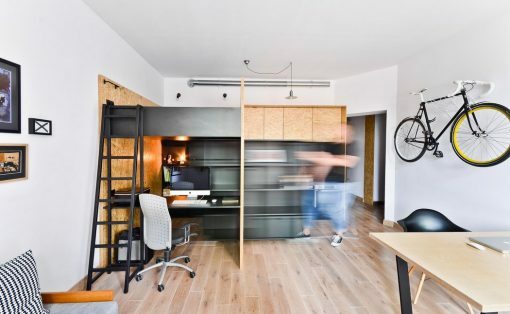 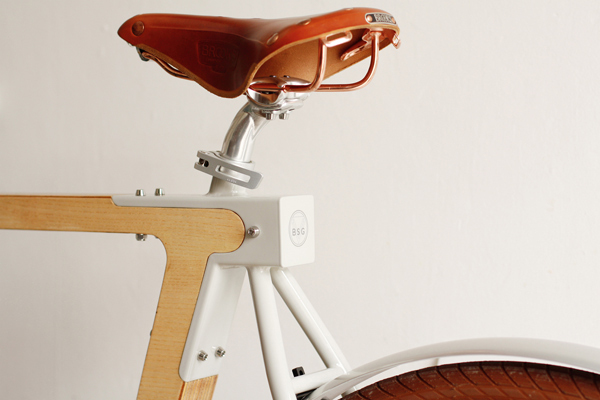 Beech plywood frames, solid seats and pinstriped tires give the WOOD.b series of street bikes a somewhat vintage feel but seamless joints, steel accents and a simple minimal aesthetic give the series away as modern designs of today. 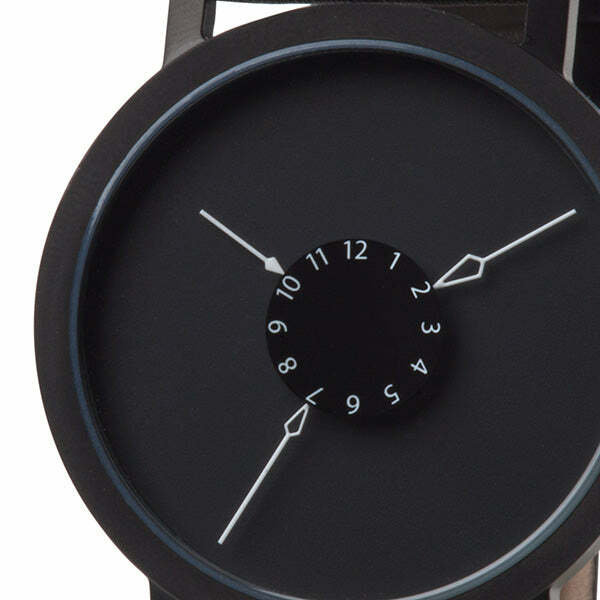 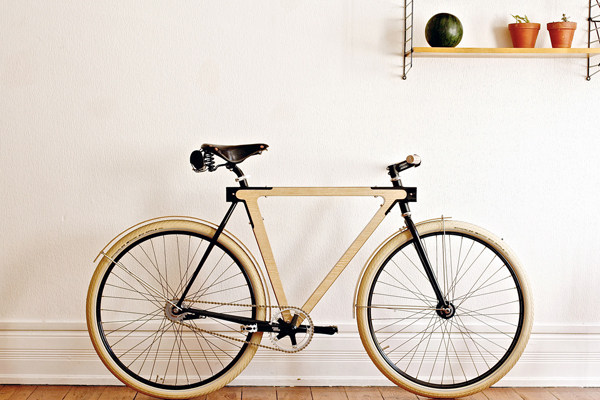 It is this perfect balance that makes them timeless and almost too pretty to ride! 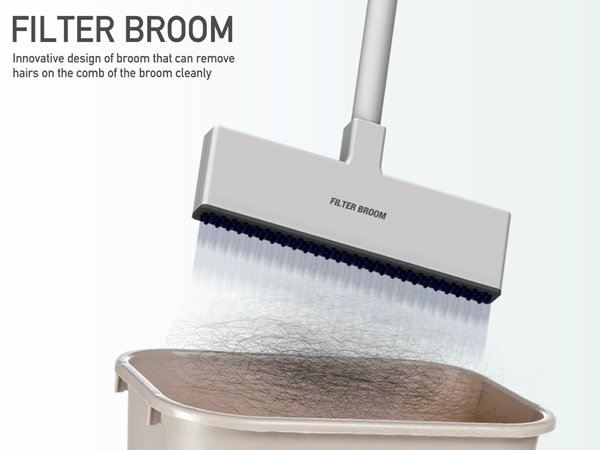 How to clean a Broom? 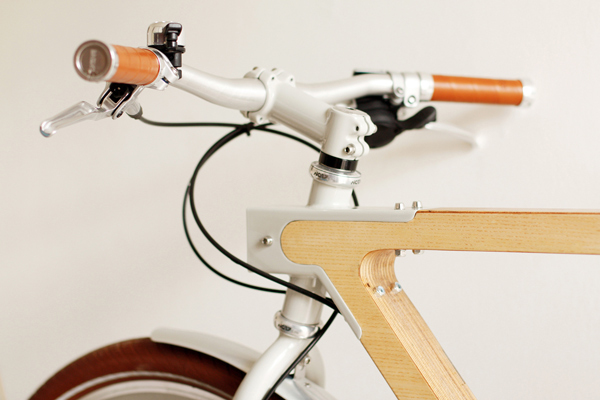 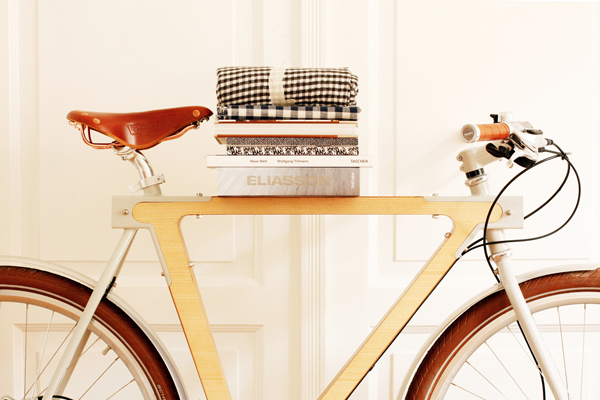 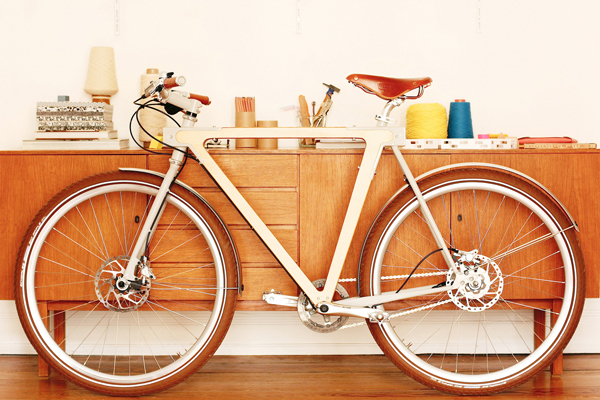 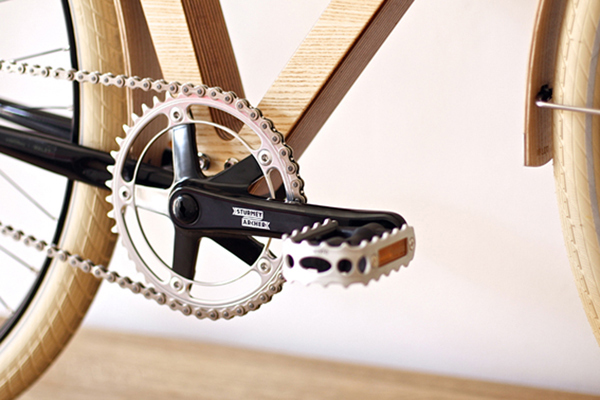 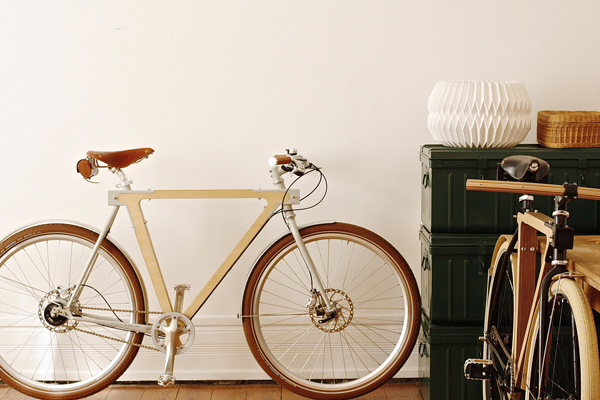 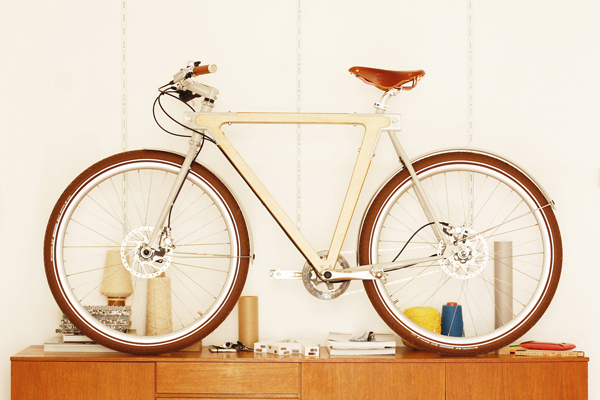 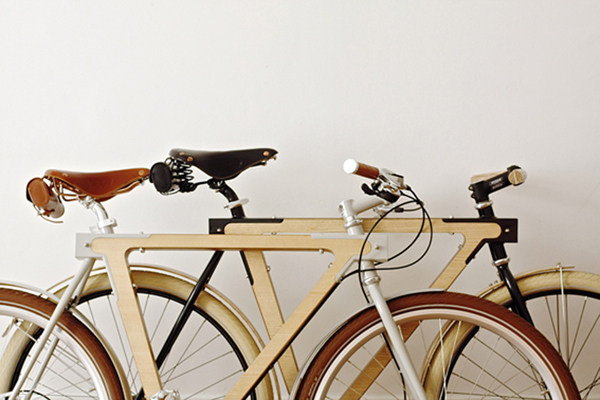 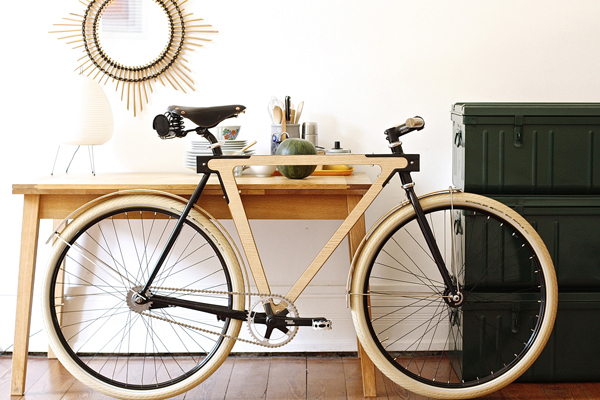 Stunning bike, although looks like for a wooden bike it has more complex metal machined part than anything I have seen. 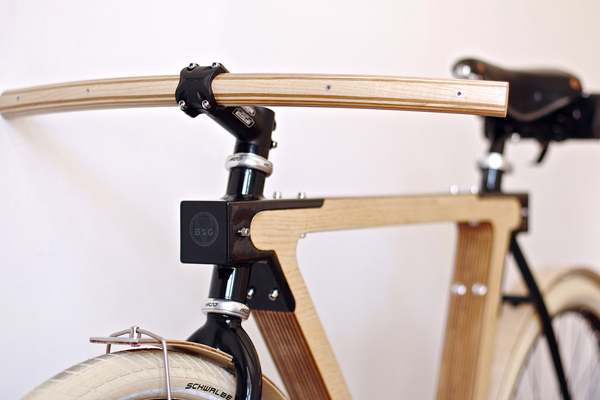 Also a very good bike rack in the photos above.